We all want to have fun, enjoy our hobbies, follow our interests, relax with friends or go out for a day trip. On these pages you will find useful information about travelling safely, disability related discounts and things to do locally and nationally. 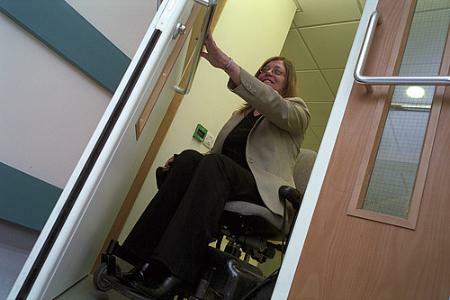 There is legislation that requires all new buildings, including dwellings, together with alterations and extensions to have disabled access. 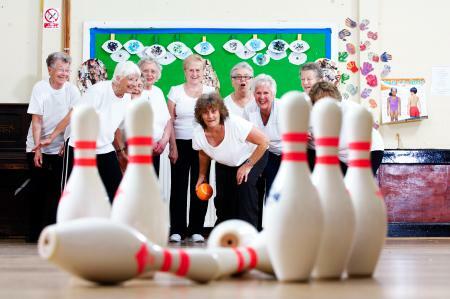 Physical activity and exercise can help you stay healthy, energetic, and independent as you get older. Many adults aged 65 and over spend, on average, 10 hours or more each day sitting or lying down, making them the most sedentary age group. There are a range of activities listed on these pages, from gentle exercise to days out and arts and crafts. You can search through activities on the list of categories. You can also find lots of interesting events on the Visit Peterborough website. 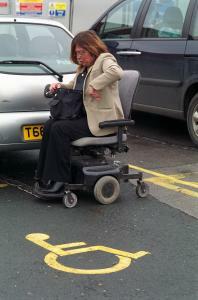 Shopmobility is available at Queensgate shopping centre. Sainsburys offer a useful Assisted Shopping Service. 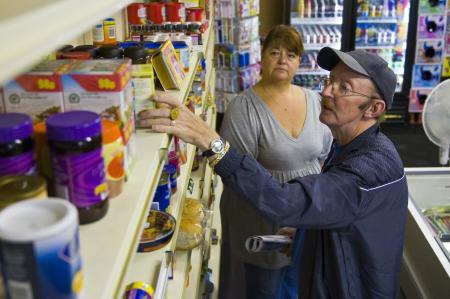 The service, available to customers in all stores at any time, provides assistance to those who find shopping difficult, from help with pushing a customer’s trolley to packing their bags and taking it to the car. They have also recently adapted all supermarket accessible toilets to be both stoma and dementia friendly. You can find more information here. Find a Changing Places toilet quickly and easily! When you are in the website you can type in the city, town, village, street or postcode, then press the find button to search for a Changing Places toilet close to that location. When your map appears please select and click on any of the pins to display a photograph and full details of all the facilities provided within that unit. Radar National Key Scheme - offers disabled people independent access to locked public toilets across the country. Around 10,000 toilets are fitted with National Key Scheme (NKS) locks and can now be found in locations such as shopping centres, pubs, bus and train stations and many more. Radar keys can only be purchased with proof of disability in order to prevent them from being misused or left in an unsuitable manner. Radar Keys are available to purchase from the Visitor Information Centre Monday to Saturday, 9.30am - 5pm. Proof of disability will be required. 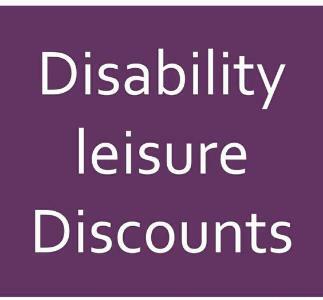 Many sports and leisure activities offer discounts to older people or people with disabilities. For example, some theatres offer discounted tickets for disabled people. Some also reserve seats for wheelchair users and allow carers in for free. Check with the theatre when you’re booking tickets to find out what they offer. The National Trust give free entry to companions or carers of disabled visitors. The disabled visitor pays the normal admission fee or membership. To save having to ask for free entry at a National Trust property, you can apply for an ‘Access for All Admit One Card’ in advance. A copy of your award letter from the Department for Work and Pensions showing that you are eligible for disability benefits is normally accepted as proof that you’re disabled if you are ever asked. Alternatively you could show a copy of your Blue Badge or your disabled bus pass. a week, on any of their bus services. first language. Or maybe you just need extra time or help to find a seat. Their Journey Assistance Cards have been developed with their trade body, the Confederation of Passenger Transport (CPT). National Rail Enquiries provide information on support that is available. You can also apply for a senior railcard or a disabled persons railcard for reduced rates train travel. You may be eligible for the Motability Scheme which can provide disabled people with safe, reliable and affordable cars, powered wheelchairs or scooters. You can find more information on the Motability website. Peterborough City Council operates a Blue Badge Scheme which allows people with disabilities to park in designated parking zones. For more information or to apply, please visit the council’s Blue Badge Parking webpage. You can now apply online for a blue badge. 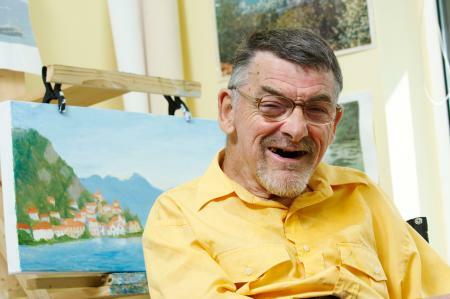 This article written by the Alzheimer's Society explains the criteria for people with dementia and how to fill out an application for yourself or someone you care for. Need assistance fuelling your car? Sainsbury's petrol station colleagues are happy to help disabled or older customers fill up with fuel on the forecourt when needed. They are proud to be the first supermarket to enable their customers to request assistance via FuelService. FuelService is an app which can be downloaded to your phone, or you can call to ask for help when you arrive at the forecourt. Just look out for the FuelService stickers on the forecourt giving you the number. To find out if this service is available in your local Sainsbury's petrol station, click here to use our Store Locator. Having a disability doesn’t necessarily mean that you can’t drive – there are various modifications that can be designed to help make your driving, or travelling experience as comfortable as possible, depending on your needs. If you have a disability and want to learn how to drive you might find this article useful. If you are looking to start learning to drive, the disability driving nstructors website has an online register of specialist driving instructors for people with physical disabilities, special educational needs and those with hearing difficulties. The website also has advice on how to start to learn to drive, how to return to driving after an accident or illness and how to keep driving safely.who need advice about driving. AccessAble is a website where you can find detailed access information to thousands of venues across the UK and the Republic of Ireland: shops, pubs, restaurants, cinemas, theatres, railway stations, hotels, universities, hospitals and more. Peugeot E7 SE and XS short wheelbase models. Vehicles offered for Hackney Carriage are constructed in a way as to allow the carriage of disabled persons and will accommodate as a minimum a disabled person. Hackney Vehicles can be accessed from the taxi ranks which can be viewed on the city centre map. Private hire companies also operate non designated wheelchair accessible vehicles. From 6 April 2017 drivers of taxis and private hire vehicles designated by the local licensing authority as being wheelchair accessible must comply with the requirements of Section 165 of the Equality Act 2010, unless they have been issued with an exemption certificate (see below). You can read the statutory guidance on access for wheelchair users to taxis and private hire vehicles on the government website. If you have any questions or for more information contact customer services. The Equality Act allows for exemptions from the duties on medical grounds or if the driver's physical condition makes it impossible or unreasonably difficult for him or her to comply with these duties. It is the responsibility of drivers who require an exemption to apply for one by contacting for an application form to be sent to you. When submitting your completed form, you will be required to provide evidence from your Medical Practitioner supporting your application and substantiating the medical reasons applicable to your request. Based on the evidence provided we will determine if a you should be exempted from these duties. If approved, we will issue you with an Exemption Certificate, and an Exemption Notice to display prominently in the vehicle. Your application will be determined by the Licensing Manager, and if successful you will be issued with the relevant Exemption Certificate and the Exemption Notice to display within the vehicle. You can appeal to the magistrates' court within 28 days if we decide not to issue you with an Exemption Certificate. Information about your departure from the airport. If you need extra assistance while you're at the airport, we have a dedicated team to help you. Facilities and services available for those requiring assistance when travelling through the airport. Enjoying a smooth journey through the airport when you arrive back at London Stansted Airport. Supporting passengers who may have hidden or invisible disabilities. We welcome your feedback about your experience of special assistance at the airport. Options for travelling to the airport by public transport if you require assistance. London Stansted is pleased to be one of a number of UK Airports using the Sunflower scheme. By wearing our Airport Awareness Sunflower lanyard or floret, it will discreetly indicate to our staff that you have a hidden disability and would like additional support. Our staff have been specially trained to recognise these identifiers and act accordingly by providing you with extra help you may need during your journey through the terminal. To pick up a lanyard or floret at London Stansted Airport, please go to either our Information Desk located in the International Arrivals or the assistance desk in zone A. Alternatively, you can use your Sunflower lanyard obtained from one of the UK airports in the scheme. London Luton Airport is fully committed to ensuring that it's Persons od reduced mobility customers have the best possible experience when travelling. We are working in partnership with The Disability Resource Centre Dunstable, The National Autism Society (Hertfordshire Branch), the RNIB, the Phoenix Group, Luton Dementia Action Alliance and independent disability advocates & travellers to help us do this. In collaboration with the National Autistic Society, we’ve put together some advice to help you and your companions get around the airport.